The flexible design and high temperature capability of economyHeaters Heating Tapes and Cords provides an ideal solution for your heat tape for pipes and heat wrap tape needs! Heat tape and cords can be used on any surface or body, such as wrapping pipes, requiring fast and efficient direct contact heating, with maximum exposure temperatures up to 1400°F (760°C). 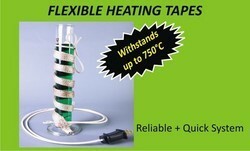 We are one of the prominent names of the business to offer Flexible Heating Tapes. Manufactured as per the set industry guidelines, these tapes and chords are widely used for appliances, incubators, blueprint machines and tracers. Suitable for electrical conductive surfaces, the proffered flexible tapes and chords are massively acclaimed among our prestigious customers. Introducing Electrical Silicone Heating Tapes to bring convenience adaptability and quick solutions for host of industrial applications such as laboratory, Pipe Lines and Defrosting in Refrigeration. 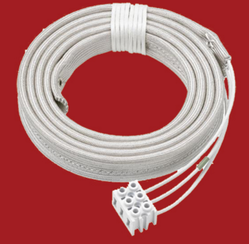 We are one of the prominent names of the business to offer Flexible Heating Tapes. Manufactured as per the set industry guidelines, these tapes and chords are widely used for appliances, incubators, blueprint machines and tracers. Suitable for electrical conductive surfaces, the proffered flexible tapes and chords are massively acclaimed among our prestigious customers. Being one of the renowned names of the business, we are involved in presenting Fiber Glass Cords, at reasonable prices. 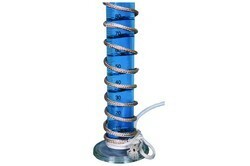 Suitable for high watt applications, these cords are spiraled around the tubing. Made available in different lengths, these flexible cords come with insulated unheated flexible lead at each end. Handed over in tamper proof packaging, the range is massively sought after. Backed by a team of skilled and experienced professionals, we are involved in the manufacture, trade, export and supply of PTFE- Insulated Heating Cable. Proffered cables are vastly acclaimed for their high resistance to moisture-proof and ease of installation. Made available in various lengths and watts, these durable & flexible cables are immensely popular among our customers. 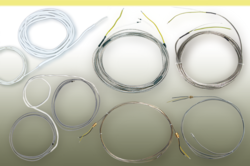 Owing to our rich industry experience, we are manufacturer, exporter, supplier and trader a wide range of Heating Cords for Laboratory Equipment. 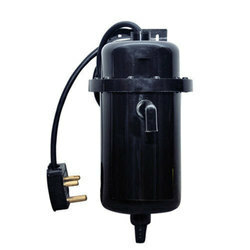 Our offered products are provided by us to the clients in various thicknesses and lengths as per their requirements.